I was in court a lot this past week. Going to court is always a particularly draining experience. Park my car (hoping I remember where I parked on my way out), grab my files (hoping I haven't forgotten one of them at the office), run across the street in heels (hoping my heel doesn't get caught in one of the steam-spewing, piranha-like potholes on the street), go through security (hoping my necklace doesn't set off the alarm, triggering the security guard to give me a dirty look). Things rarely work out smoothly but a girl can hope! By the time I hit the elevator, I feel like I've already put in a full day's work and I'm not even before the judge yet. I guess it could be worse, I could be the one on trial. But let me tell you, it's hard to see this silver lining when it's 8:00 p.m. and I'm headed home knowing full well that my refrigerator contains only a bottle of ketchup, a few wilted lettuce leaves and my trusty Brita (which sits empty). No, I'm not a 21-year-old fraternity boy (because in that scenario, I'd at least have beer in my fridge). I just work a lot. Dinner was a dismal affair this past week until about Thursday (yup, it took me that long to realize I was in trouble. Don't judge). See, I've been bookmarking Mark Bittman's recipes from the New York Times for a while. I'm cleaning out my bookmark list (after a spectacular dinner of Honey Bunch of Oats with milk, eaten from a large measuring cup because we're out of clean bowls) when I realize, Mark Bittman can very well save dinner. The Minimalist is not only a cute concept but one which works particularly well if you haven't had the time to do a huge grocery run in some time. A couple of ingredients, a simple preparation and voila, a real meal in minutes. No scented foam, no superfluous garnish, no flashy presentation. Just straight up real food for a real weeknight. Enter Ginger Fried Rice. Nine ingredients, four of which, like oil and salt, are pantry staples. Plus, you know you want a way to use up old cooked rice. 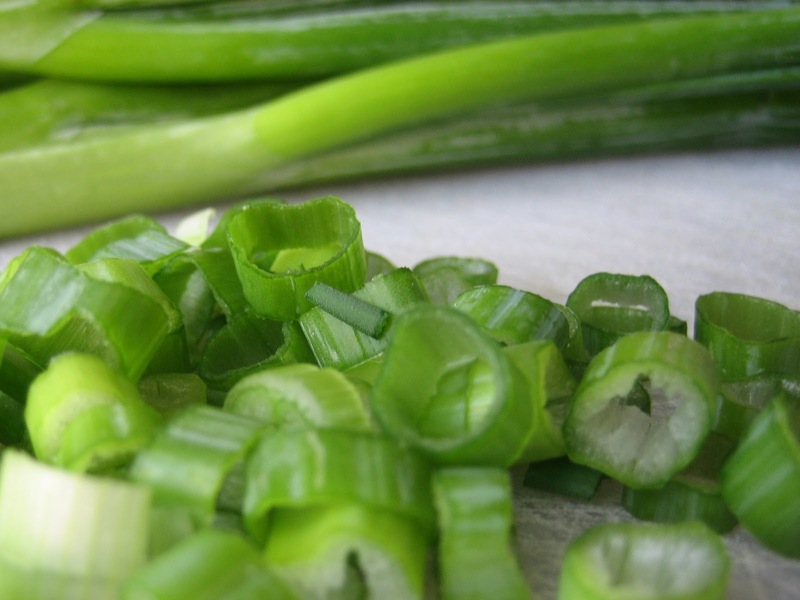 Fear not about the fresh ingredients, ginger, garlic and leeks, for they are open to substitution. For example, I didn't have leeks (surprise, surprise). The trusty Cook's Thesaurus said I could substitute green onions (which surprisingly, I did have). Don't ask why I have green onions in my fridge but no bread. I also didn't have fresh ginger so I threw in a bit of ginger powder. I did have fresh garlic and I'm glad I did because fried, crisp garlic took this dish to a whole new level (though you and your date may disagree about whether that's a good thing). Have some wilted spinach? Cook it with the leeks and throw it in. Some frozen mixed vegetables? Same deal. So we've talked about all the things you don't have to have. The fried egg is one ingredient you have to have. When you break the yolk and it slowly coats the slightly crispy rice underneath, a sense of calm overtakes you. You hear angels singing. I imagine this is what nirvana feels like. It's simple: no egg, no nirvana. I also add a bit of Sambal Oelek. 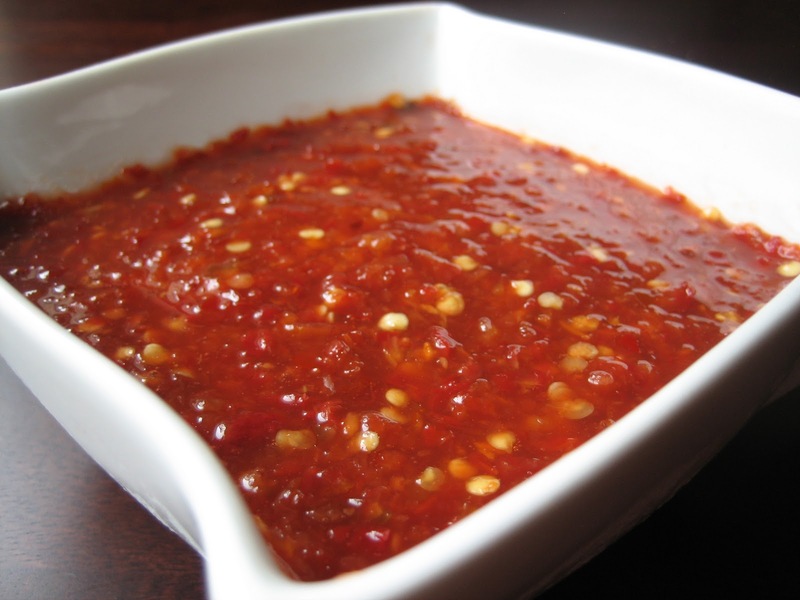 You can use sriracha if that's more your thing (or more realistically, if that's all you have). Don't use Tabasco because that's just blasphemous. If Mark Bittman was a Heroes character, his famous line would appropriately be, "Save the dinner, save the world." 1. In a large skillet, heat 1/4 cup oil over medium heat. Add garlic and ginger and cook, stirring occasionally, until crisp and brown. With a slotted spoon, transfer to paper towels and salt lightly. 2. Reduce heat under skillet to medium-low and add 2 tablespoons oil and leeks. Cook about 10 minutes, stirring occasionally, until very tender but not browned. Season lightly with salt. 3. Raise heat to medium and add rice. Cook, stirring well, until heated through. Season to taste with salt. 4. In a nonstick skillet, fry eggs in remaining oil, sunny-side-up, until edges are set but yolk is still runny. 5. Divide rice among four dishes. Top each with an egg and drizzle with 1/2 teaspoon sesame oil and 1 teaspoon soy sauce. Sprinkle crisped garlic and ginger over everything and serve. Enjoyed reading your post. Beautiful photo of the dish. Love the egg over the top. Glad I found your blog, it is a great read. As a husband to a lawyer, I can relate on just how taxing it is. Luckily for her she does not need to be anywhere near the kitchen. That is my domain. Cannot agree with the Bittman thing, not a fan. I eat egg at least once if not twice for dinner some weeks, and I am definitely adding this to my rotation. I really like all the flavors, and you are right, I think I have everything that I need in my pantry! what a beautifully written piece!!! I want Nirvana!!!!! A fried egg makes everything better! I love his recipes (my latest is one of his, too) and this looks soooo good. And I'm sad to know that when I finally find a job I will likely be relegated back to cereal and reheated pasta now and again. Le sigh. I have busy weeks, but I can only imagine being a lawyer takes busy-ness to an entirely different level. I may piddle around in my cubicle helping the corporation make money, but your job is so much more purposeful. And how awesome that you enjoy cooking! I have a handful of friends who are doctors and though they love eating, they are NEVER in the kitchen. You are my hero! I always thought court was the highlight of being a lawyer!?! Oh well, even though you shattered my preconceived notions--I really enjoyed your post! The ginger fried rice looks quick and delicious! Ha ha, I often have spring onions in my fridge but no bread, which makes it hard to make school lunches...and I'm a stay at home mum!! hehehe, love the part about the empty Brita pitcher, we've all been there. I saw this post by Mark Bittman and thought it was great. Yay for quick, yummy dinners after long days! Great dinner story! I love happy endings and easy dishes. Nice pictures too! Dinner does save the world. Happy endings are always yummy. Lazaro- I bet your wife appreciates your kitchen prowess, especially after a long day of work! Cilantropist- I too, enjoy a good bowl of cornflakes every now and again. S- Hopefully, you will still find time to make fabulous food, at least some of the time! Shaz- I will have to research these chinese-style fried eggs. They sound right up my alley! Kathy- Thanks! I'm going to be trying some of your meatless Monday dishes soon because they look great! What a great fix meal that is super simple. Love fried rice - will check this one out! I really enjoyed reading this post...and not just for the recipe. You have a great style. Bittman seems to be popping up all over the blogosphere these days. It's almost enough to get me to dust off his world cookbook that is sitting on my shelf. Everyone needs a quick fix but soul satisfying dinner recipe they can turn too... I know how depressing those days when you come home so tired and hungry can be! 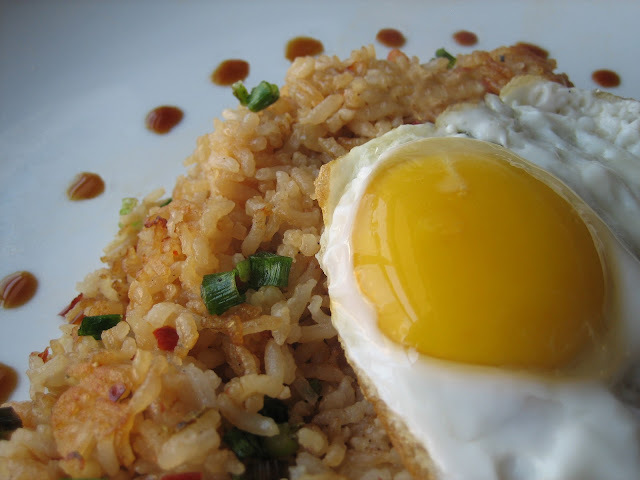 Your rice looks super delicious with the egg on top!